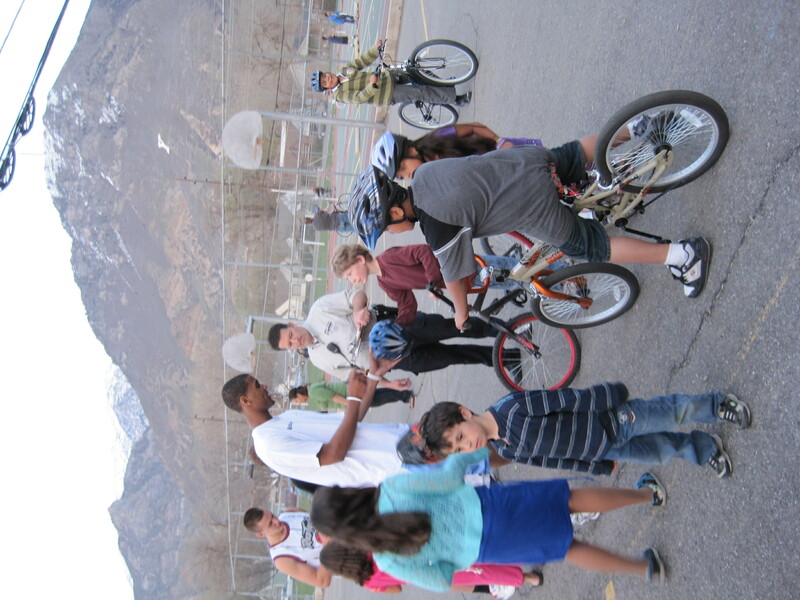 Utah County has a bike rodeo kit available for groups to borrow. The kit includes common road signs (stop, yield, railroad crossing, etc.) as well as instructions for designing a chalk road for kids to practice riding on. They also offer bike safety videos and pamphlets. 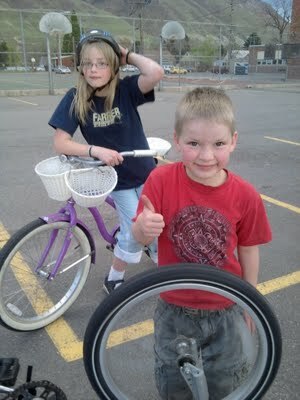 Occasionally, they have funding available to offer helmets to children that need them. 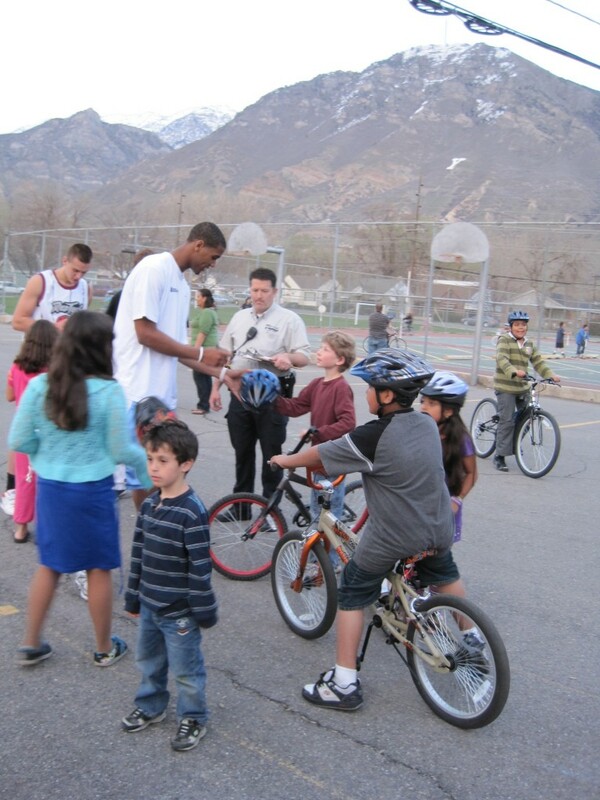 You can make arrangements to borrow the rodeo kit by calling Utah County Health Department Bike Rodeo Coordinator Carrie Bennett at 801-851-7035 (email: carrieb.uchlth@state.ut.us). 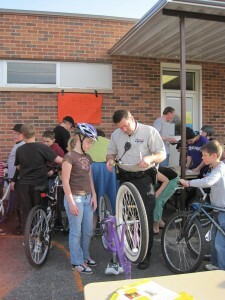 Occasionally, the Provo Police Department is able to send an officer to take care of bike licensing or speak on the topic of bike safety. Due to the growing popularity of bike rodeos in the city (lately there seems to be a couple every week), the police haven’t had the resources to send out officers to every event. 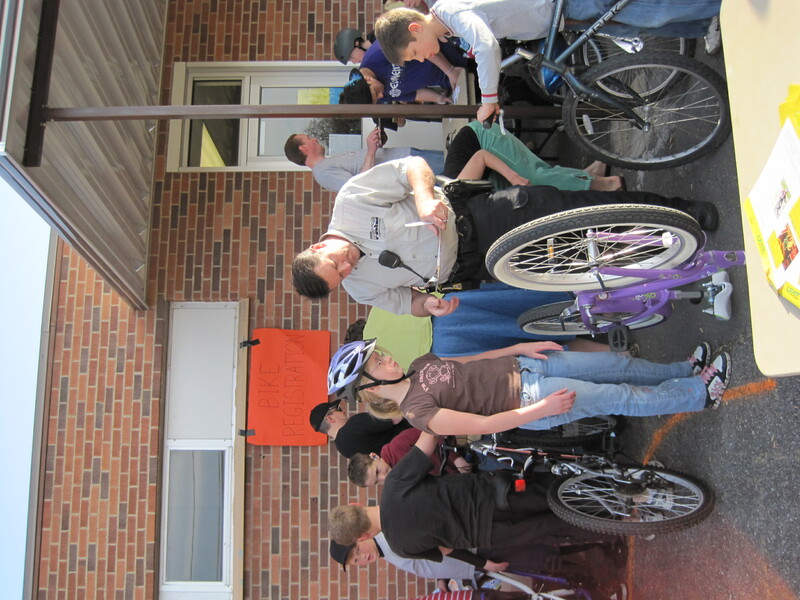 However, if you are planning a major bike rodeo that combines multiple groups or serves an entire school, they may be able to accommodate you. Run a successful Provo bike rodeo? Have tips to share with your fellow rodeo leaders? We’d love to hear what you have to say or do a profile on your event. Simply drop us an email at: bikeprovo@gmail.com. Bike Rodeo Skills Packet (PDF) – A 16-page handbook on teaching kids safe riding from the Utah Department of Health. An Organizer’s Guide to Bicycle Rodeos (PDF) – An in-depth guide to setting up rodeos and reaching out to parents. Provo Bike Rodeo Certificate (PDF) – Feel free to use our printable Provo Bike Rodeo Graduate certificate to reward participants for their efforts. Local Bike Laws Guide – On this page, we’ve provided an overview of the most important local and state cycling laws. You can also download a 1-page bike law reference sheet. Provo Ride Guide (front side, back side) – A printable, foldable bicycle zine that includes a list of essential bike laws, suggestions for Provo rides, instructions on how to change a flat tire, and more.